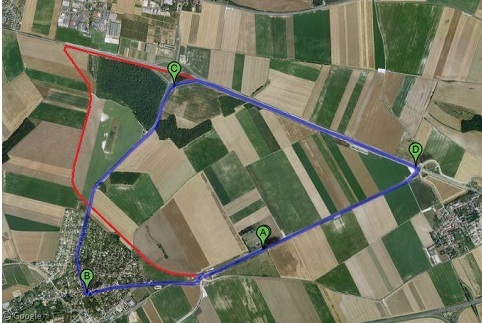 First used in 1926, le Circuit de Reims-Gueux was a French Formula One and sports car racing circuit built on the public roads between the villages of Gueux and Thillois. The circuit hosted its first French Grand Prix in 1932 and continued to hold the event until 1966. The track closed for good in 1972, but the roads are still in place, and many traces of the old circuit can still be found, including the pit stalls, paddock, and spectator bleachers. As we around the world continue to acquire automobiles at a precipitous rate, we also have to build increasingly complex intersections to deal with the resulting traffic. 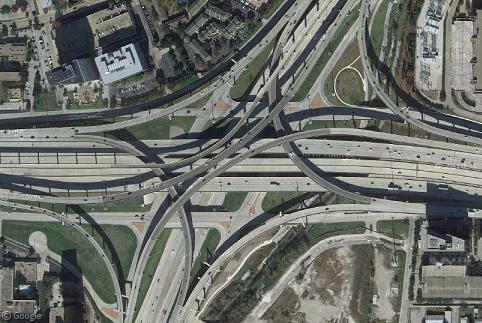 Few places epitomise this movement more than the the massive, five-level High Five Interchange in Dallas, Texas, one of the most impossibly complex highway junctions you will ever see. 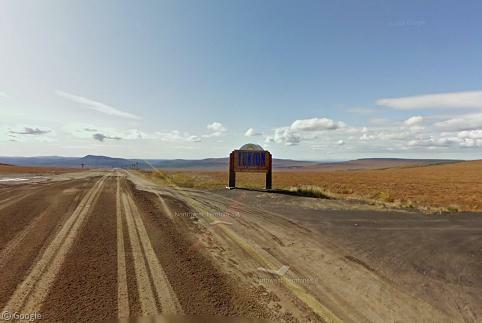 We continue our Street View barnstorming tour of Yukon today as we follow the cameras on their 417-mile (671 km) odyssey north along the beautiful, desolate Dempster Highway, built in 1979 to connect the remote Mackenzie Delta to the rest of Canada.